Pre-heat your oven to 350°F. Pour 1/3 of the honey into a flan or other dessert mold. Make sure the bottom is completely covered. Using a blender or mixer, blend the remaining third (1/3) of honey with the condensed milk, evaporated milk and eggs for one minute. Pour the mixture into the mold(s) and cover with aluminum foil. Place the mold into a bain-marie and bake for 45 minutes. When ready, remove the flan from the oven and let cool to room temperature. After cooling, refrigerate the flan for at least 3 hours. To serve, turn the mold over onto a large serving dish. Lightly dress your measuring cup with some vegetable spray oil, so the honey doesn’t stick. 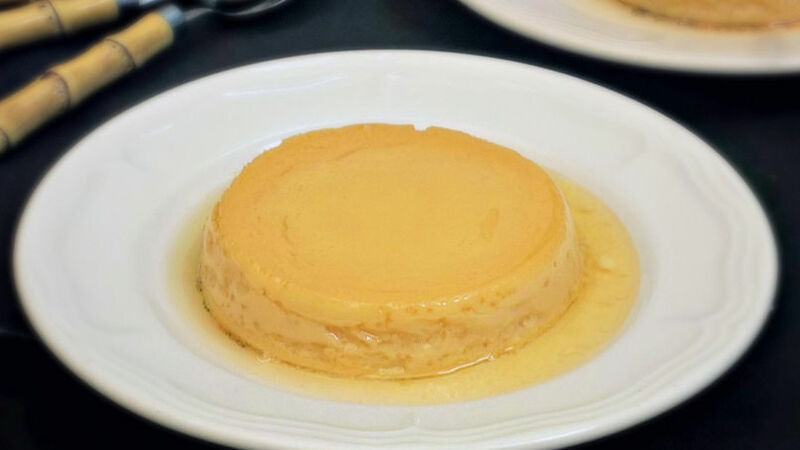 Flan is one of those desserts that seem to be difficult to make, but actually it’s very easy to prepare. This baked honey flan is simpler than other variations because honey is used in place of caramelized sugar. The result is a light and fresh dessert that’s sure to become a family favorite.